The volume brings together a collection of essays written by colleagues, friends and students as a tribute to professor Mosharaff Hossain. In addition to personal tributes, the contributions cover issue in agriculture and the rural economy and development in general which were close to the heart of Mosharaff Hossain. The tributes include an appreciation of the extraordinary public life and career of Mosharaff Hossain by Rehman Sobhan , one of his closest friends. 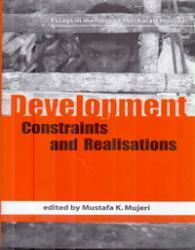 Many of his friends including Ian Martin and George Zeidenstein have recollected their memories of Mosharaff Hossain as a scholar and practitioner of social change and development. 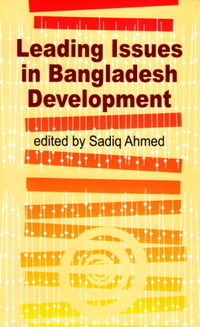 The essays on agriculture and the rural economy cover a wide range of issues relevant to the dynamics and transformation of Bangladesh’s traditional rural society including peasantry and capitalist development of agriculture, realizing the potentials of villages, structural transformation and rural development, relative transformations of the agriculture economies in china and Vietnam, re-thinking food security policies productivity performance of the rice sector. The broader issues of development include topics such as re-assessing the concept of development, technological capability building, challenges of economic development, dynamics of students‘ perceptions in a changing academic environment, future challenges of gender and development and selected issue in taxation. The expectation is that the volume will inspire the younger generations to pursue and realize the dreams which Mosharaff Hossain pursued throughout his life.